Japanese supply manufacturer King Jim has filled a gaping hole in our competitive global market - the ‘futon air mattress you can wear’ hole. 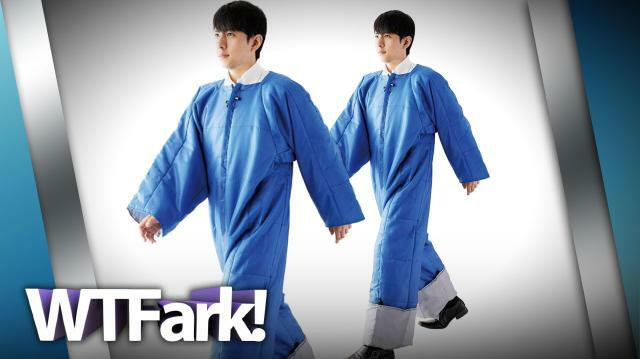 The bed/apparel line is a puffy body suit that makes you look like a ridiculous blue Michelin Man, but don’t let that deter you from spending $40 on another very practical and useful product from the island of Japan. Additional music by Kevin McLeod.